2017 was a great year for Receipt Bank filled with success and even more effortless bookkeeping. Receipt Bank was acknowledged for its growth and contribution to the Fintech sector when we secured one of the biggest funding rounds since Brexit, we shipped a host of great features, won awards, and most importantly welcomed more great Partners join the effortless bookkeeping revolution. A big thank you to all our Partners who voted for their Favourite Product Launch of 2017. Read on to see the winner revealed and find out which exciting new feature update will be launched in the coming weeks. Item Messaging was created for you to make resolving issues on submitted items less time-consuming by removing the need for lengthy email chains! This feature allows you to communicate with your clients directly on an item whilst keeping your messaging safely stored within Receipt Bank. Using Practice Platform and haven’t tried it yet? Find out more here. 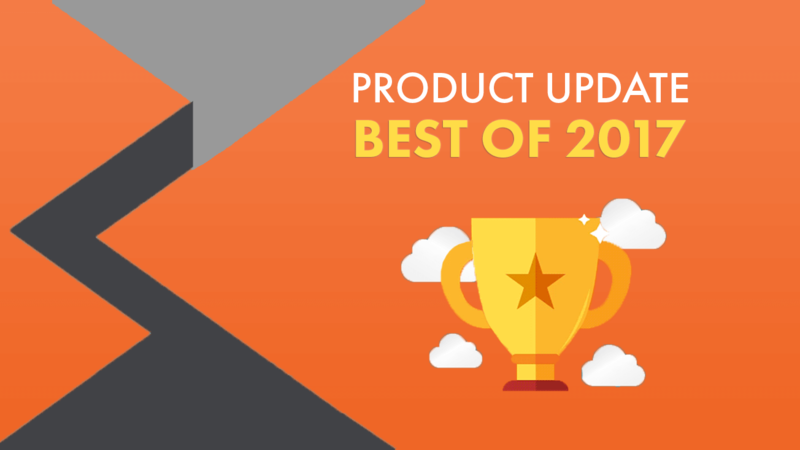 Item Messaging may have been awarded third place by you, but in the Receipt Bank Office we crowned it the best feature released in 2017! So why did we choose it? Item Messaging makes communication on queried items seamless - saving both you and your clients time. This feature really makes your bookkeeping and accounting services stand-out from the rest. 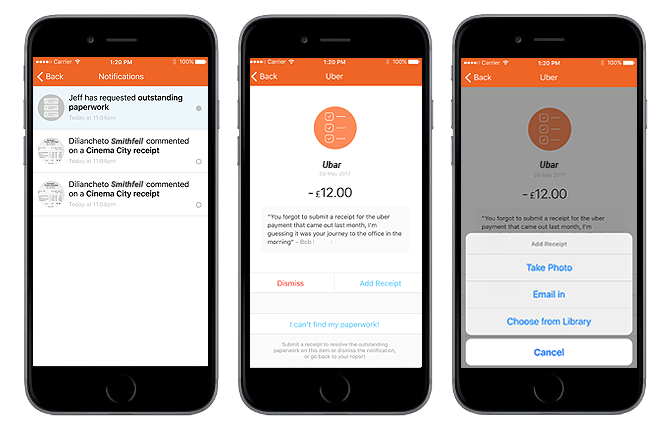 SMS invite allows you to invite your clients to start using the Receipt Bank mobile app and onboard them in under 2 minutes. Thousands of receipts and invoices are now being submitted effortlessly by your clients! SMS invite not only saves you time when onboarding your clients, but also gives users the freedom to snap their receipts and invoices on the go! This fantastic update to the mobile app makes it possible to capture multi-page items effortlessly. The camera mode is ideal for those multi-page invoices or long receipts that don’t fit in one frame - snap as many images as you need and submit them all together as one item to Receipt Bank. We can see why this was your favourite feature – with so many items submitted a month on mobile, combine mode can really save you and your clients valuable time spent in front of the scanner! We have big plans for the year ahead at Receipt Bank, and are currently working on lots of feature updates and product launches to make your bookkeeping even more effortless! To kick off the new year in style, we’re very excited to be launching the first feature update of 2018. Outstanding Paperwork was released for Practice Platform back in October to help cut the amount of time spent retrieving missing paperwork from your clients. We’ve had some great feedback for this feature, and we have big ideas on how we can make it better. So, in the coming weeks we’ll be releasing an update* to make it even easier for you to request outstanding paperwork from your clients – you’ll be able to send a customised reconciliation report straight to their mobile device! Find out more about Outstanding Paperwork here.